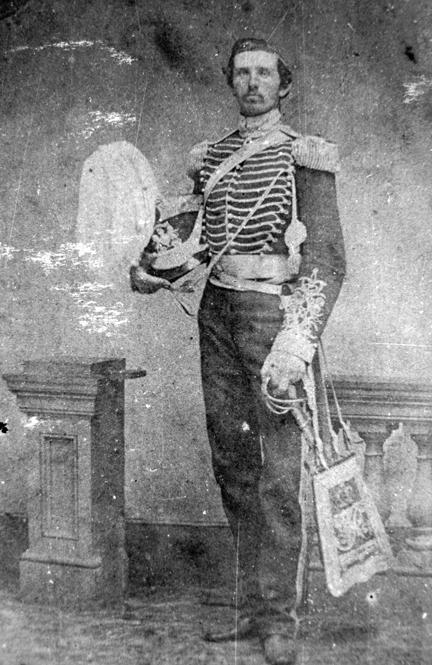 Note the highly detailed and colourful sabretache worn by this officer of the 2nd Cavalry Regiment. Anne S. K. Brown Library, Brown University, courtesy Rene Chartrand. 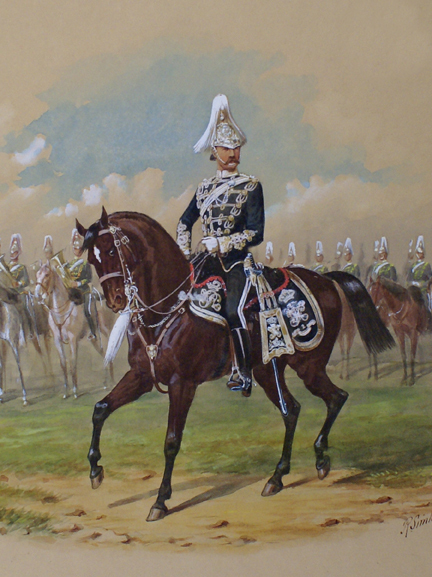 The sabretache is derived from a traditional Hungarian horseman’s flat leather bag called a tarsoly and was adopted by nearly all European armies. 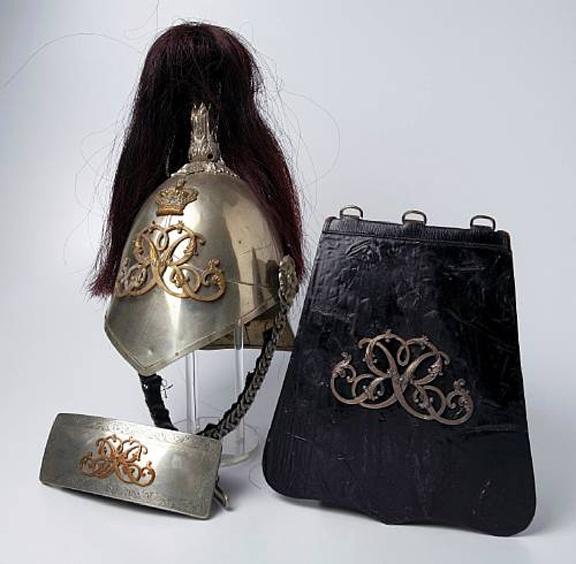 In the early 18th century, hussar (light) cavalry became popular amongst the European powers, and the tarsoly was often a part of the accoutrements. 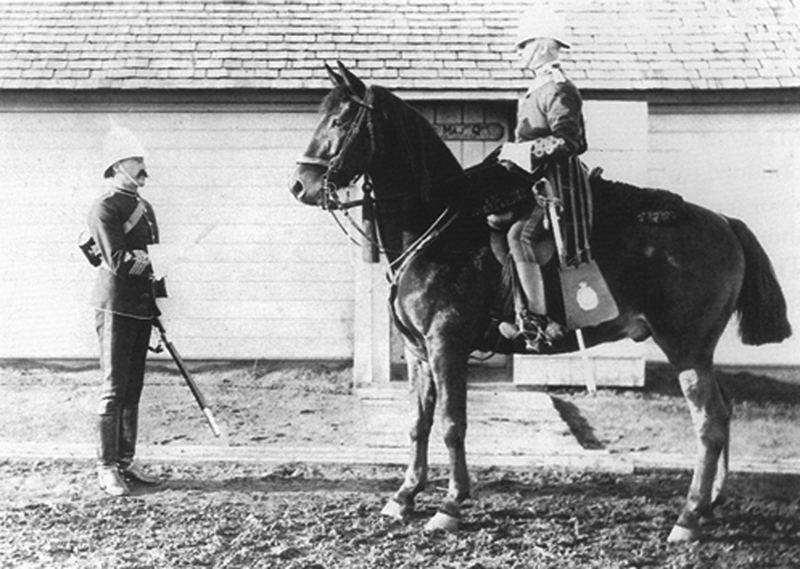 By the 19th century, other types of cavalry, such as lancers, also wore them. The German name sabretache was adopted, tache meaning “pocket”. It fulfilled the function of a pocket, which was absent from the tight fitting uniform of the hussar. 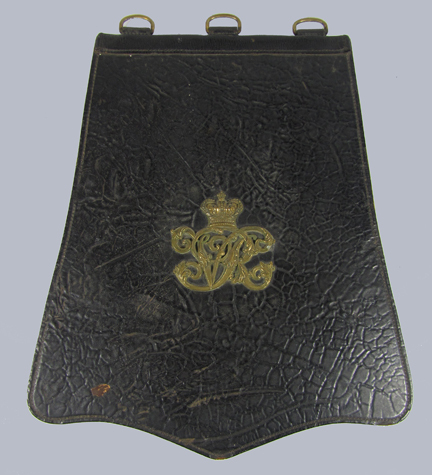 Part of the wartime function of the light cavalry was to deliver orders and dispatches and the sabertache was well suited to hold these. 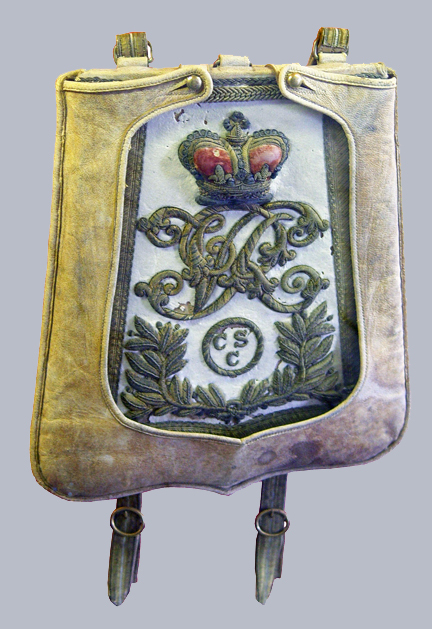 In its earliest form the sabretache’s large front flap was usually heavily embroidered with a royal cypher or regimental crest, and could be used as a firm surface for writing. 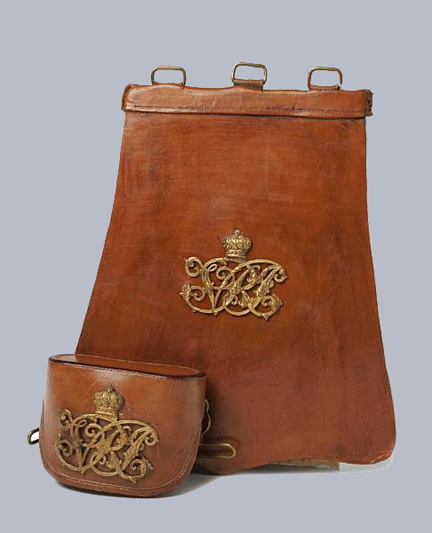 In later years this style was set aside for full dress and a more utilitarian, “undress” sabretache was adopted for field use. 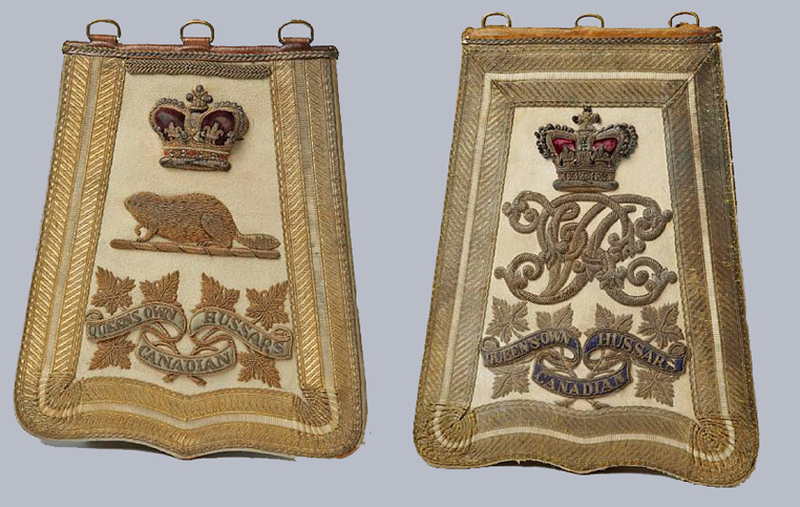 Another ‘undress’ pattern to an unidentified regiment. 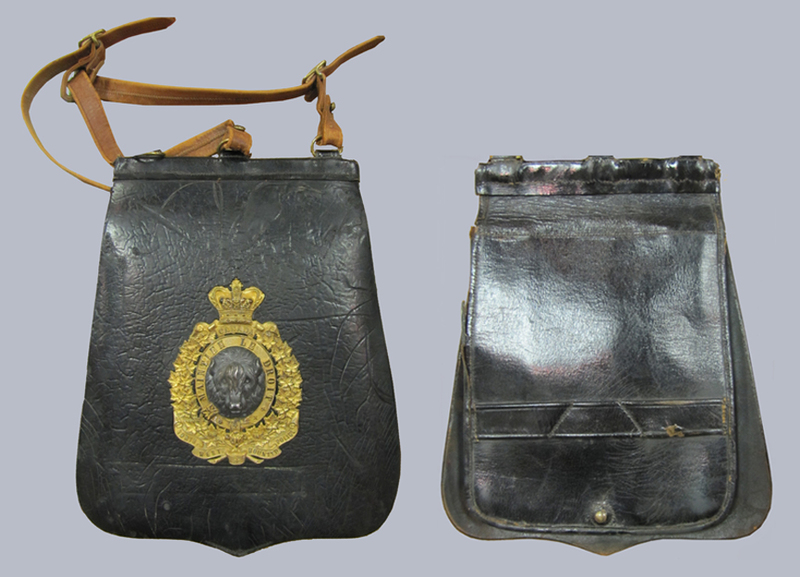 The wear of this rather arcane item was abolished in the British Army in November 1901, and the Canadian Militia followed soon after. 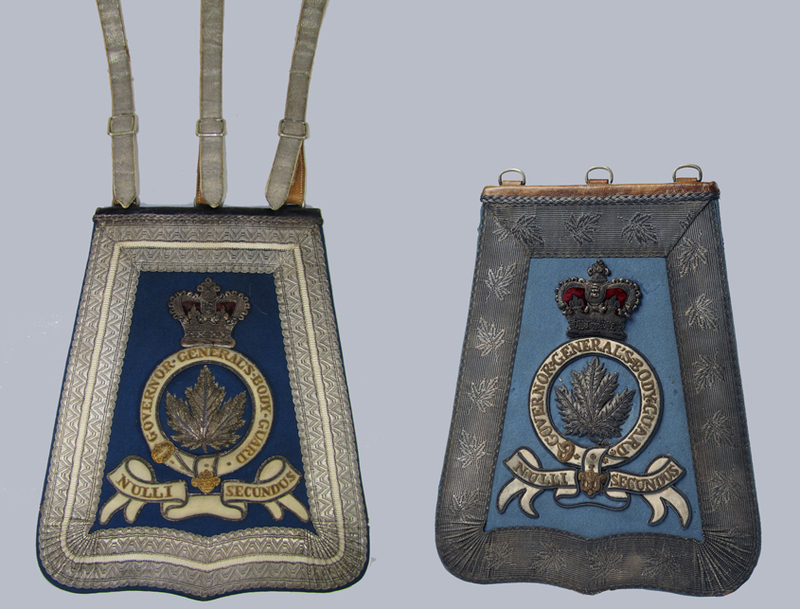 The name of this accoutrement lives on as the title of official newsletter of the Association of the 8th Canadian Hussars (Princess Louise’s) Inc.